During her U.S. 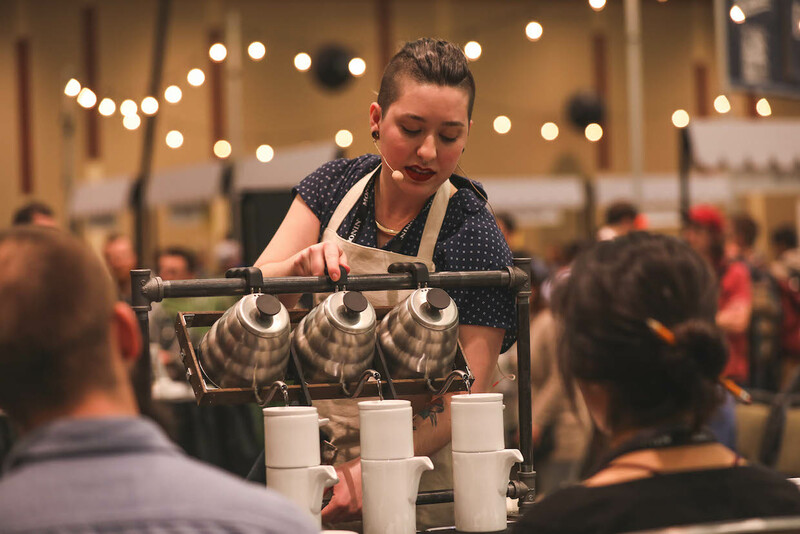 Brewers Cup performance in Seattle, Becca Woodard brewed her coffee with three different kettles simultaneously. Photo courtesy of SCA. 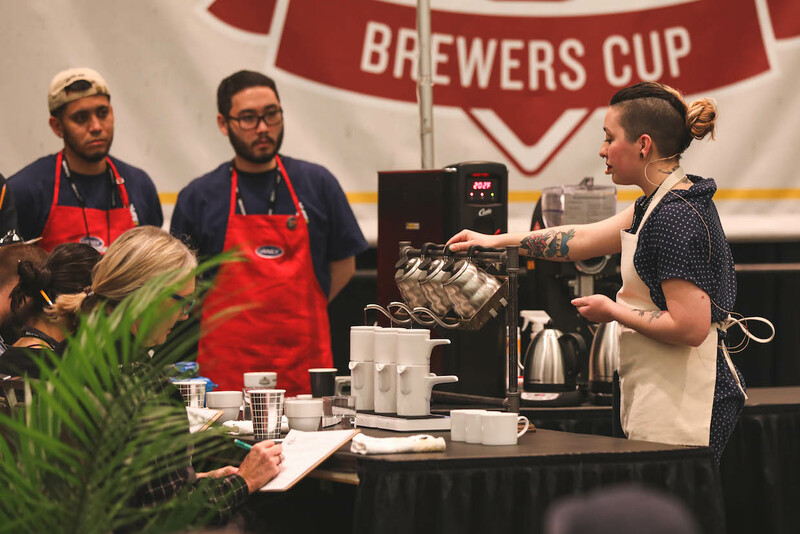 The youngest sibling in the current U.S. Coffee Championships family, the Brewers Cup competition was launched in 2011 to serve as an alternative to the more espresso-focused barista competition. 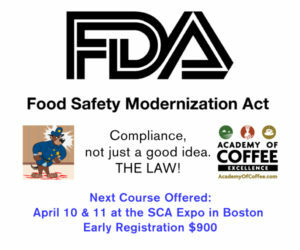 Last month at the Specialty Coffee Expo in Seattle, Becca Woodard of Boston’s George Howell Coffee won the U.S. Brewers Cup Championship. With two repeat U.S. Brewers Cup Champions in the ranks, only five other coffee professionals in the country can claim this title. A first-time competitor, Woodard is the Wholesale Account Manager and Head Trainer at George Howell Coffee. 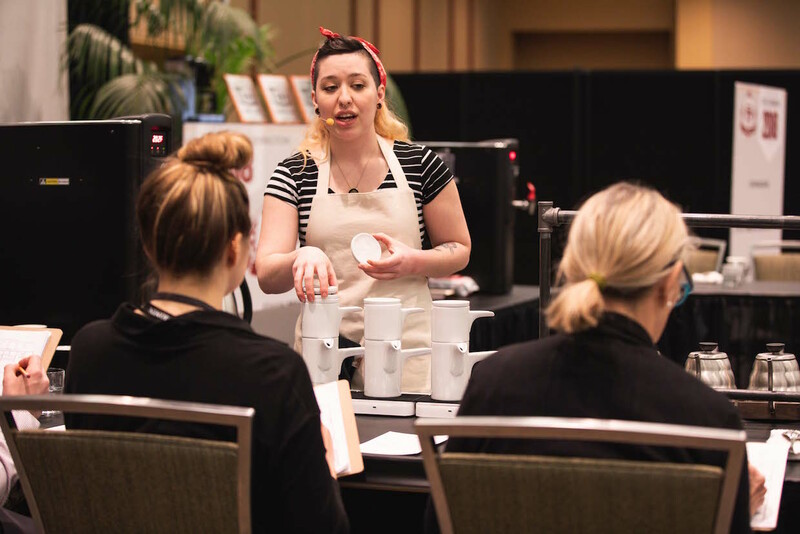 She competed in the Cup Tasters competition at the Qualifying Event in Reno, but didn’t qualify for the national championship. 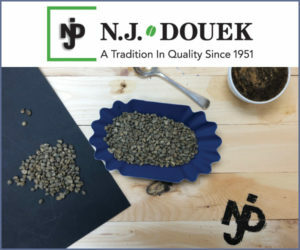 However, she went on to compete in the Brewers Cup at the Qualifying Event in New Orleans and ranked eighth, earning a chance to compete in the U.S. Brewers Cup. 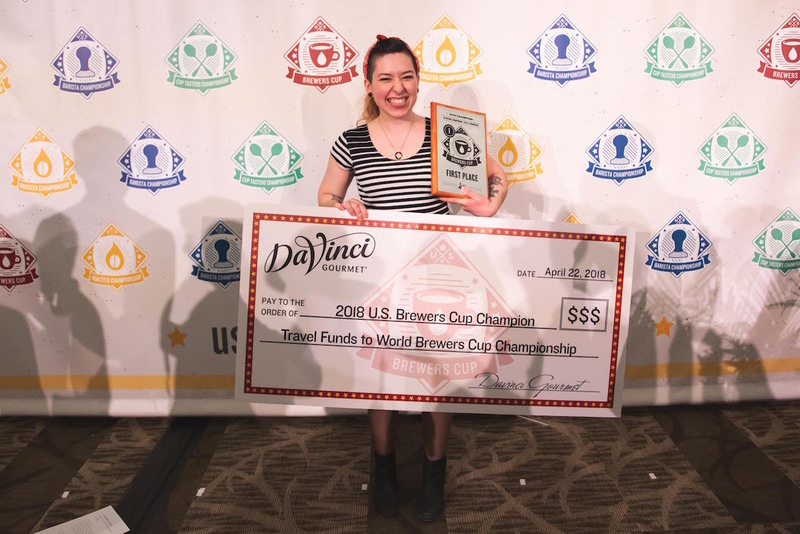 We asked Woodard about the competition experience, how she approached the selection of her coffee and brewing method for this routine, as well some of her goals and aspirations as she prepares to represent the U.S. at the World Brewers Cup in Dubai this fall. Lily Kubota: What was your motivation to compete in the Brewers Cup? Becca Woodard: Originally, I thought it would be a great way to network and get my name and my company’s name out there. 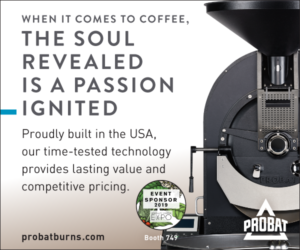 In light of the Specialty Coffee Association‘s site selection for the world coffee championships and subsequent deferred candidacy policy, however, I want to use competition as a platform to talk about issues that are important to me and my community. As a queer woman, I can’t take part in these events without talking about these issues and working towards a future where these competitions are more accessible, more diverse, more exciting, and more challenging because of it. LK: During your routine, you delivered a compelling message. What were you hoping to communicate to the judges and the audience through your presentation? BW: I wanted to convey the message that changing systems takes a long time and a lot of effort, but that every barista I know who is queer or a person of color is willing to put in the work and push towards changes in the way the competitions are currently set up and run. 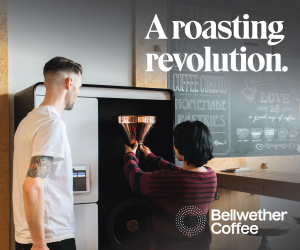 You can see that change is already starting to take place with four out of six of the Brewers Cup finalists being women, or with the election of people like Adam Jacksonbey to the Barista Guild of America Executive Council. 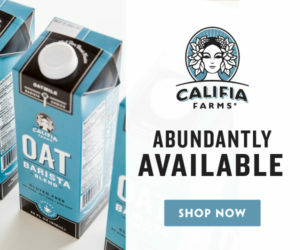 LK: What was the specific coffee you used in your routine? 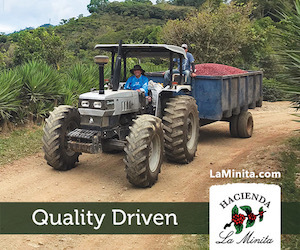 BW: The coffee I used is an experimentally-processed Panamanian Gesha from the Ninety Plus Gesha Estate, Jose Alfredo Series of 2017 (lot #236). I don’t actually know exactly how it was processed, as the details are kept secret, but I know it was fermented with the fruit using some select microorganisms and temperature control. The aroma and flavors of this coffee were absolutely like no other coffee we’ve ever tasted before (even George himself had never tasted anything like it). The aroma was so incredibly floral, and overall the aroma and flavor were so complex, with layer after layer of clear-cut fruit and floral notes. BW: Definitely! This coffee roasts a little differently from most other coffees, and our head roaster Robert Rodriguez did a killer job with it. The first roast, which we used to find a brew method and dial in a recipe, was really good — but on the lighter side. It had a lot of light floral notes, but the fruit notes where a bit lacking in sweetness. 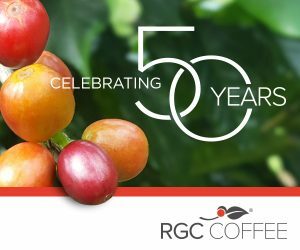 We developed the roast just a touch more for the competition, which brought out some ripe tropical fruit and super sweet florals. The Walküre Bayreuth porcelain pourover brewer did an amazing job at keeping the aroma trapped inside, and made for a wonderful balance between clarity and body in the final brew. 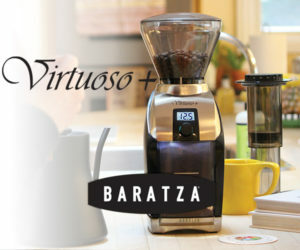 LK: Your ingenuity and how you adapted current brewing technology to pour with three kettles at once was so fun to see! 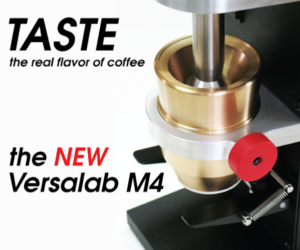 Can you describe your overall approach in terms of how you brewed the coffee, and the equipment used? BW: Thank you! I was really dead set on using the Walküre brewer from the first time I used it, it was the only brewer that held onto that aroma and gave me the most balanced brew of that coffee I could possibly find. 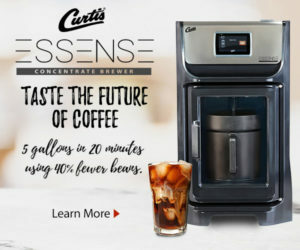 Unfortunately, it was very hard to brew three of them consecutively in under ten minutes — it would have required me to be focusing on my brewing for the entire time. In brainstorming with my team, we had quite a few thoughts on how to pour three kettles at once — and it all came together through a combination of each idea. By hanging the kettles by their handles and keeping them aligned using the wooden box that one of my co-workers built, I was able to efficiently brew all three cups at once with minimal effort. It also allowed me to focus more of my energy and attention on the judges and relaying my message to them. BW: I’m starting to cup potential coffees and plan to keep a very regimented schedule to make sure I feel as prepared as possible. LK: Where do you practice when you’re getting ready for competition? BW: At the George Howell roastery in Acton, mostly. I also record myself reading my script and play it in the car while driving around to help me memorize it. LK: Did you receive any feedback that you’ll incorporate into your presentation? BW: The biggest piece of feedback I received from the judges was to be careful about using tasting notes that might not be universal at the world competition. Some of my notes were a little obscure, such as soursop and freesia. 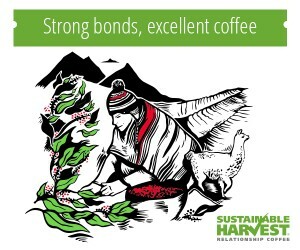 LK: What are your future goals or aspirations for your career in coffee? BW: At this point, I’m not sure. 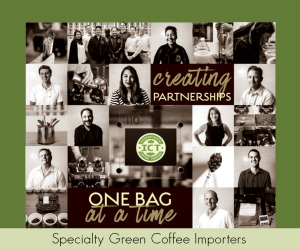 I want to impact the way people see specialty coffee, and to work towards making this community more open and inviting to those who feel marginalized or othered by the current white, male-dominated coffee culture. 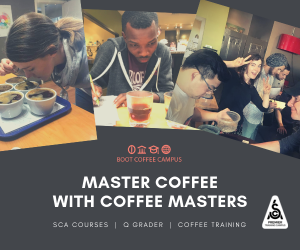 I’m currently working with Kristina Jackson and Boston Intersectional Coffee Collective to impact the Boston community, both inside and outside coffee, to be more inclusive and accessible. Exactly what this will all amount to career-wise, who knows? 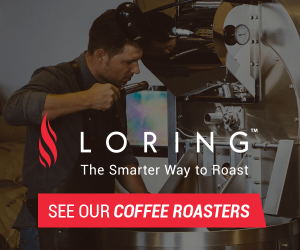 LK: As an ambassador for specialty coffee, what message would you like to send to competition hopefuls or coffee professionals trying to pave their own path in coffee? BW: Learn as much as you possibly can by talking to and observing others. Get as much feedback as you can, and use it to improve yourself and your skills. 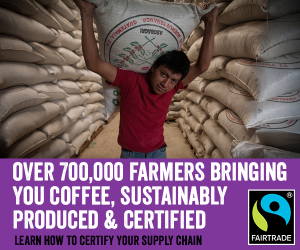 Get involved in your local coffee community. Build a network of people who thrive off each others accomplishments and genuinely want to see you succeed.